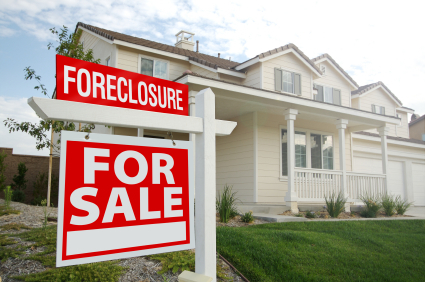 How Foreclosure Works In Kansas - Grear Law, P.A. In Kansas, a mortgage lender may not take a home from a homeowner except by filing a foreclosure, which is a lawsuit filed in the County where the homeowner lives. On average, most mortgage lenders tend to file foreclosures when the mortgaged debt gets to be three months behind. The homeowner must be served with the lawsuit. Service can be accomplished by handing the lawsuit personally to each individual homeowner or person who is liable on the debt. Service can also be accomplished by taping a copy of the lawsuit to the front door of the last know address of the homeowner, and then mailing a letter that advises the lawsuit has been served by taping it to the last known address. After the homeowner has been served, the homeowner has 20 days to file a written answer in the district court where the foreclosure has been filed. If no answer is filed within the 20 days, then the lender is entitled to a default judgment of foreclosure, which will then lead to a sheriff's sale being scheduled about 30 days after the default judgment. Generally, it will take at least about 60 days between service of the foreclosure lawsuit and the sheriff's sale if the homeowner takes no steps to slow the process by say filing an answer or filing bankruptcy. At the sheriff's sale, which is a public auction held on the courthouse steps, the house is sold to the highest bidder. Generally, the first mortgage company will be at the sheriff's sale bidding the full amount current owed on the first mortgage. Any other party, such as a second mortgage company, would have to bid higher than the amount bid by the first mortgage company, which means the other party would have to pay the first mortgage in full. Frequently, the second mortgage company will not bid, as it realizes it would likely lose money by buying the home and then later selling it as compared to just letting the first mortgage company win the sheriff's sale and thus receive rights to later sell the home. Foreclosed homes sold by banks tend to be sold for 60-80 percent of the homes true value, as the market expects a discount in such situations. The homeowner has the right to remain in the home for 90 days after the sheriff's sale. During this time, the homeowner has rights of redemption, which is the right to keep the house by paying in full, in cash, the full amount of the winning bid at the sheriff's sale. If the full amount is not tendered by the 91st day after the sheriff's sale, the homeowner will need to be out of the home that now belongs to the winner of the sheriff's sale. If the homeowner remains, they would be subject to an eviction action, which would lead to additional fees and costs including "rent" or occupancy charges for the time past the 90 days. By bidding the full amount owed on the first mortgage, the first mortgage company effectively pays itself in full, such that after the rights of redemption have expired, the homeowner will no longer owe any money to the lender. Second mortgage debts will remain due in full, assuming the second mortgage did not bid at the sheriff's sale. However, the second mortgage is stripped off the property, such that the second mortgage lender becomes an unsecured creditor who could then sue the homeowner and obtain a judgment on which they could then garnish bank accounts and wages and any non-exempt property to collect on said debt. If there is only a first mortgage lender, then the homeowner will usually not owe anyone any money after the foreclosure. The foreclosure process can be stopped by filing a bankruptcy petition, as on the day the bankruptcy is filed a stay order goes into effect that bars any collection activity, including selling homes at sheriff's sale. However, the bankruptcy must be filed before the sheriff's sale. Once the sale is held, it is too late to stop the running of the 90 days of rights of redemption by filing bankruptcy. Homeowners may also stop the foreclosure process by reinstating the mortgage, which means bringing the mortgaged debt current by paying all back payments, all late fees, attorney fees and any other fees or costs incurred by the mortgage lender. By filing a Chapter 13 bankruptcy, the homeowner can pay this amount over a three to five year period, while also making the current payments. A Chapter 7 bankruptcy will usually only temporarily stop the foreclosure process. This handout is intended to provide general legal information, and is obviously not tailored to your unique situation. Thus, it is not intended as legal advice. If you have any further questions, you should consult with an attorney experienced in bankruptcy and/or foreclosure law for further advice.